Happy Friday Friends....We made it to the weekend! Tonight is the Fall Festival at Ella's school, so I will be working away today to get that all set up!! Luckily, I have a great group of PTO ladies to work with so hopefully things will go smoothly today and tonight!! Wednesday, October 12 we spent the day at Sea World! Our first ride was Manta!! The First show we watched was the Dolphins! I love dolphins! 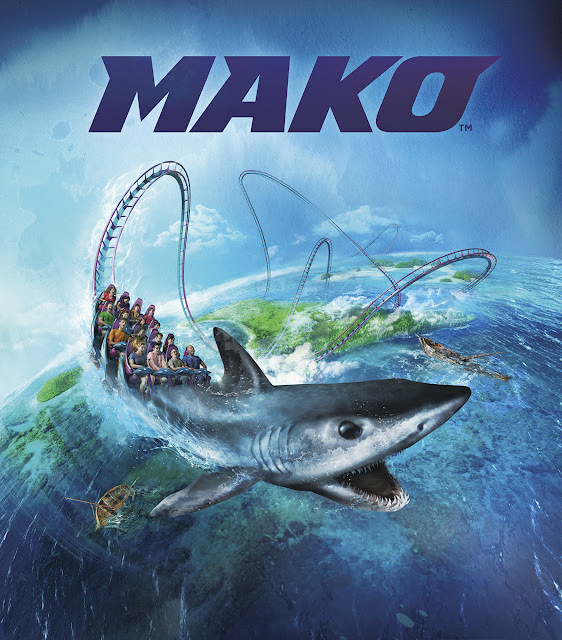 This is MY FAVORITE ride!! 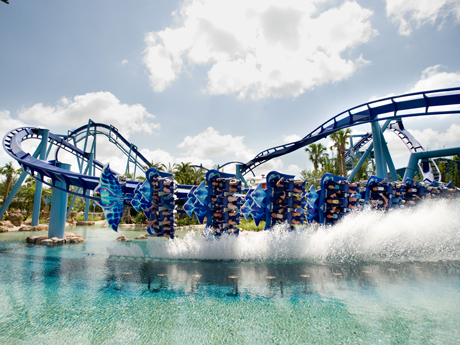 It's the tallest, longest, and fastest roller coater in Orlando....but I would like to add smoothest! I do not love roller coasters but I ride them for my kids....you know to even us out! I hate the "sick" feeling I have when I get off of them! However, this ride does not give me that "feeling"! We bought fast passes for Sea World, as well! We literally walked onto this ride and Ella and I rode in the front! It was SO COOL!! This little guy was very friendly!! He came right up to the glass!! We warmed up by visiting the Sea Lions and Seals...They were my FAVORITE!! We bought fish to feed them! Ella wasn't feeding them fast enough because she was totally grossed out touching the fish but really wanted to feed them! So this one particular Sea Lion was making all sorts of noises at her! We would get tickled and dropped the fish a few times! We watched my FAVORITE Show....Clyde and Seamore! We had an AMAZING vacation!! 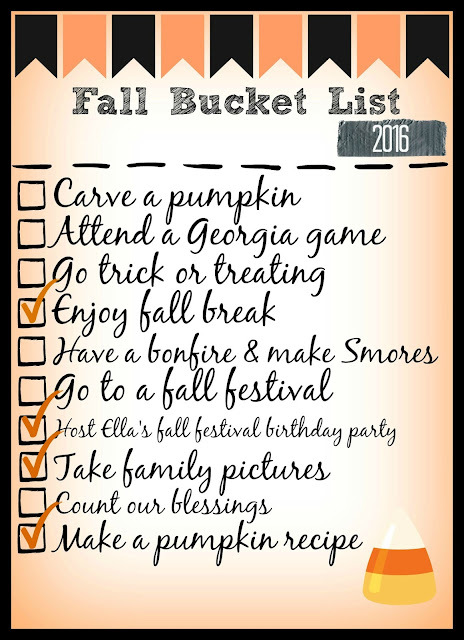 We have 2 activities planned from our Fall Bucket List, so I'll be back Monday sharing our weekend fun! !